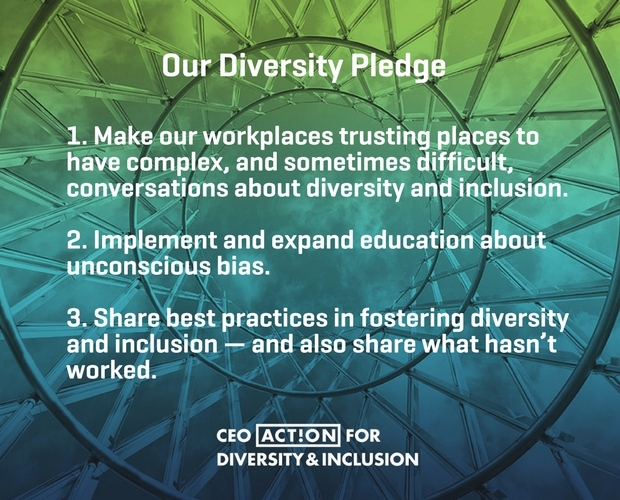 WASHINGTON, D.C. – Today, the Solar Energy Industries Association (SEIA) joins more than 150 organizations for the “Day of Understanding” hosted by CEO Action for Diversity & Inclusion to address bias and increase understanding in the workplace and beyond. “Improving the diversity of the solar industry is one of my top priorities and I know to succeed I must start with my own organization,” said Abigail Ross Hopper, SEIA’s president and CEO. For more information on the Day of Understanding and how you can get involved by signing the “I Act On” pledge, go to www.ceoaction.com. Read the entire news release here. This entry was posted in NewsBlog and tagged Abigail Ross Hopper - SEIA President and CEO, CEO Action for Diversity and Inclusion, Just Energy Policies ad Practices ACTION Toolkit, Nebraskans for Solar NewsBlog, SEIA Women's Empowerment Initiative, Solar Energy Industries Association (SEIA), Solar Equity Initiative on December 7, 2018 by Helen Deffenbacher.